Once again, I would like to thank the wonderful folks at the History Colorado Center. 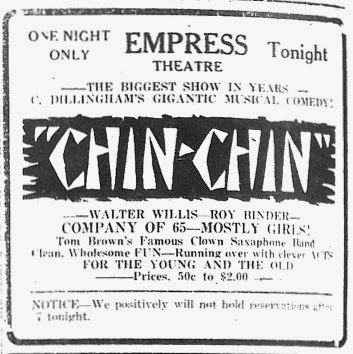 They were able to do a lookup for me that proves that the “Chin Chin” show was in Fort Collins on November 20th, 1919. So, I was able to backfill another date for Donna and the “Chin Chin” show during November 1919. TO THE GENERAL PUBLICFOR THE FIRST TIME IN TEN OR MORE YEARS CHARLES DILLINGHAM OF THE NEW YORK HIPPODROME GLOBE THEATRE PRODUCER OF “JACK O’ LANTERN” WITH FRED STONE “THE CANARY”with JULIA SANDERSON and JOE CAWTHORN “HIP HIP HOORAY” “EVERYTHING” ETC., ETC., ETC. FAVORS OUR CITY AGAIN WITH ONE OF HIS RICH AND GIGANTIC PRODUCTiONS. That announcement was followed with typical “Chin Chin” display ads on the 19th and the 20th. They were unable to find anything else about the show, but I did find Herbert Lloyd’s Vaudeville Guide (1919 edition), which much information regarding the venue. The theatre was built in 1907 as the Orpheum Theater and was located at 161 North College, Fort Collins, Colorado. 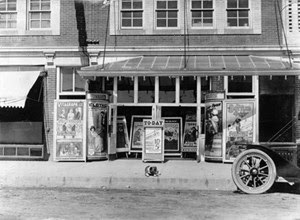 It changed name to the Empress Theater during an ownership change in 1914.The new owners, G. W. Thompson and H. F. Beier, intended the theater to play only the best road shows. Because women and children formed a large part of the patronage the theater provided for baby carriages and offered no offensive shows. 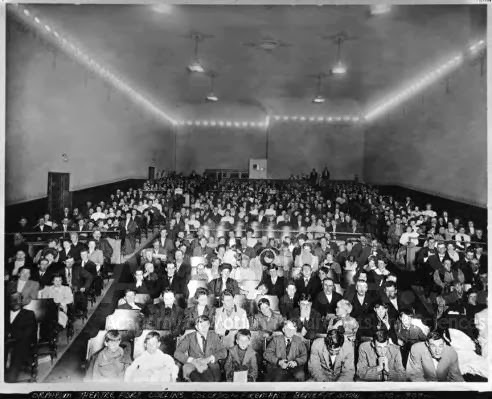 The theater’s seating capacity was 799; it had a small proscenium, only 27 feet wide, which framed a 28 foot deep stage. out at the, then Orpheum, audience. The building appears to have been completely renovated. For many years it was a barbecue restaurant known as Nordy’s BBQ. Today it is Hodi’s Half Note. Fort Collins Express – November 16, 1919. Page 8, via History Colorado Center. Fort Collins Express – November 18, 1919. Page 8, via History Colorado Center. Fort Collins Express – November 20, 1919. Page 8, via History Colorado Center. Fort Collins History Connection – Fort Collins Timeline 1919. Fort Collins History Connection – Fort Collins Timeline 1920. Herbert Lloyd’s Vaudeville Trails Through the West, Page 87 – Archive.Org. Building Colorado Story by Story: The Sanborn Fire Insurance Map Collection. Sanborn Insurance Maps Fort Collins March 1906 – No Theatre Present. Sanborn Insurance Maps Fort Collins March 1909 – Orpheum Theater. Sanborn Insurance Maps Fort Collins March 1917 – Empress Theater.